"Joseph LeDoux is a superb guide to that ultimate frontier in understanding our emotional life, the brain." 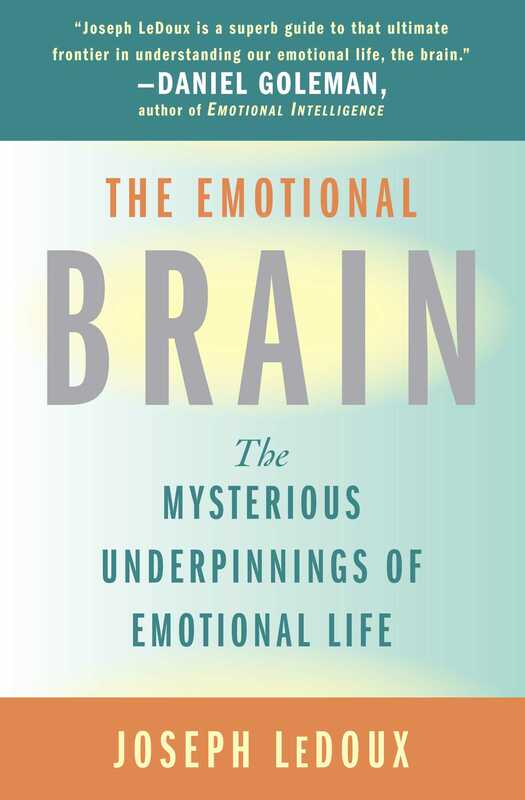 "The Emotional Brain is an excellent introduction to the strange history of the neurobiology of emotion and a preview of what lies ahead." "Highly accessible...LeDoux's musical and literary references reveal a man clearly in touch with his own emotional feelings. All said, The Emotional Brain is a stimulating and thoughtful work and is essential reading for any serious student of human emotion." "[The Emotional Brain] is vivid and convincing in its description of the central mechanisms of emotion, and is directly applicable to understanding anxiety, the most common ingredient of emotional disorders. It's a terrifically good book."